Under the direction of VP Garry Embleton, Method Products’ LEED Platinum-certified manufacturing plant is setting new standards for planet-friendly production. WHEN METHOD PRODUCTS DECIDED TO BUILD A BRAND new manufacturing plant to consolidate and support its rapidly growing eco-friendly consumer cleaning products business, it chose to take a very different approach to most companies in the industry. Opened in 2015, the firm’s impressive South Side Soapbox plant in Chicago’s Pullman neighborhood became the first manufacturing facility in the global FMCG industry to achieve the U.S. Green Building Council’s top LEED-Platinum certification (Leadership in Energy and Environmental Design) for industrial sustainability. In June this year, it also won High Achiever status for Sustainability in the 2017 Manufacturing Leadership Awards. Combining innovative green building design and materials, on-site energy generation, integrated supply chain operations, a local hiring focus, extensive community programs, and the world’s largest industrial rooftop greenhouse, the project spans 3.5 acres of a 22-acre brownfield site, the rest of which is being restored as a natural habitat for wildlife. 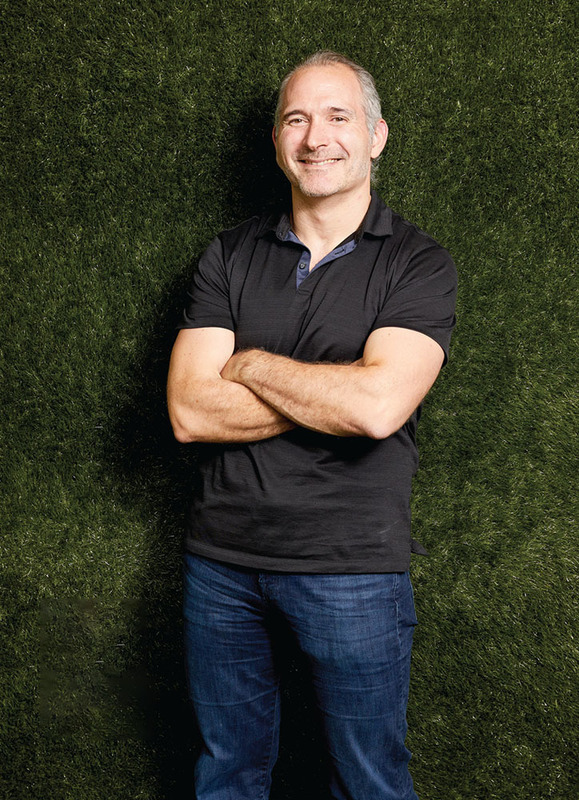 In our latest Dialogue with a global manufacturing industry thought-leader, Garry Embleton, Vice President of Operations and Supply Chain at Method Products, part of the global People Against Dirty group, talks to Executive Editor Paul Tate about the growing power of planet-friendly business models, the company’s approach to mindful manufacturing, and the urgent need for manufacturers to focus on more sustainable and agile production strategies to deliver market success in a fast-changing, increasingly consumer-centric world. A: The way we innovate, and the evolution of the brand, are the things that really excite me. We’re constantly changing our products, changing our mix, looking at different categories, market opportunities, and technologies so that forces a constant evolution of our supply chain and manufacturing capabilities. The other aspect is that manufacturing and supply chain are increasingly important parts of the company’s overall story. As consumers and customers become more interested in not just what the product is, but where it comes from, how it’s made, and the impact that has, we need to show how we are designing our supply chain in a way that maximizes the benefit for the community, for the environment, and of course, for the P&L along the way. It’s a challenging approach and it forces you to think differently and get outside of the classic manufacturing mindset of running a factory based on a scorecard that’s simply eking out another point of OEE every year. That’s just not enough if you really want to win today, certainly in the consumer product space. Q: How would you describe the business vision behind Method Products and the People Against Dirty group? A: Like all companies we have a mission. Ours’ is captured in the name ‘People Against Dirty’. We are a Public Benefit Corporation and we have our own ‘Benefit Blueprint’ that acts as a guide for how we do business. It’s based on a triple bottom-line metric – the environment and the planet, people in the community, and value creation and profit. As we make decisions, we keep these three core pillars in mind. We’re trying to avoid the classic ‘profit at the expenses of everything else’ approach, and to a certain degree, benefitting the planet at all costs. At the end of the day we’re a business and we need to create value so we can reinvest and grow. That’s the heart of our operating model. Mindful manufacturing is a subset of this. As we think about how we manufacture, how we make our product, what goes into our products, and how we hire into our manufacturing and office facilities, we keep those three core ideas in mind. That means, where possible, hiring locally and hiring a diverse population to bring together great thinking. It means designing our products and supply chain with minimum impact on the environment and the planet. And then there should be a very clear economic model and ROI against why we’re doing these things. We try to apply that same benefit blueprint approach to production, people, community, planet, and profit across everything we do, whether it’s where we source our ingredients from, how we manufacture our products, how we build our factories, how we power the factories, how we design products, and how we ship products and distribute products. It’s more than sustainability. That suggests sustaining the way things are. We prefer to call it ‘Greenskeeping’, as guardians of the environment and the communities we do business with. We think about it as another arm of innovation, not just to sustain things, but to make them better. Q: How did this business philosophy support the choice of location and the innovative design for the South Side Soapbox plant in Chicago? A: A traditional industrial approach could have been to find a cornfield out in the middle of nowhere on super cheap land, build a plant, and then hire a bunch of people from the local suburbs to drive to work every day. We took a very different view. We wanted to build a LEED platinum status factory — the highest level you can reach for a green and sustainable plant as defined by the U.S. Green Building Council. It had never been done in the FMCG industry before. Location plays a critical role in achieving that status. We needed a location with the maximum logistics infrastructure, which is super important to us in the consumer products sector. We also wanted to be in an urban area. We wanted to build on a brownfield site and potentially clean it up and return it to a better state than we found it in. And we wanted to be in a community where we could make a positive impact. After looking at 150 sites, only three met those criteria. The South Side Soapbox site in Chicago’s Pullman neighbourhood was chosen as the best of these. How have you integrated key operations into the new plant? A:Our supply chain strategy is focused on integrating as many operations into our facility as possible. Making the bottles, decorating the bottles, filling the bottles, packing and having distribution all under one roof, was one of the primary drivers. All those things are now happening in the South Side Soapbox. It’s a fully-integrated operation. High Achiever Award Winner, Sustainability Leadership, 2017 Manufacturing Leadership Awards. For example, shipping empty bottles around the country to be filled in remote manufacturing sites is one of the highest sources of completely non-value-added carbon. Early on we decided it was a “must” to design the space to have a bottle manufacturer on site. Bottles previously travelled a thousand miles in our supply chain from manufacture, to filling, to the distribution centre before sending out to the customer. Now, with bottle production partner Amcor on site, they travel a few hundred feet. There are a multitude of benefits to this approach, from a flexibility perspective, from a planning perspective, from a carbon and cost perspective, from a waste perspective, from a lead-time perspective, and in the cost versus ROI benefit for the factory. Q: How have you approached energy usage for the South Side Soapbox site? A: LEED platinum status requires a minimum of 25 percent of the energy used onsite to be from renewable sources. A traditional liquid fill operation is actually a relatively low energy intensity operation. What really changed for us was putting the bottle production on site. Melting plastic pellets, even though it’s post-consumer recycled plastic, and blowing into bottles is more energy intensive. The biggest challenge with a bottle supplier onsite was how we keep that renewable energy criteria. Now we have a 230-foot, 650 kW refurbished wind turbine onsite directly linked to the Amcor production unit. We also have three solar panel trees that are primarily powering our offices and some of our liquid fill operations. The combination of wind and solar comfortably generates between 25-50% of our energy onsite and allows us to meet the LEED platinum criteria. Even the energy that we’re pulling from the grid is bought directly from wind farms, so the entire site is powered by 100% renewable energy. Q: What other key aspects have helped you achieve LEED Platinum status? A: One is the rooftop greenhouse. Our European partner Ecover built the world’s first green factory in manufacturing in the early 1990s. It had a green roof which helped with insulation and cooling. As we thought about the new factory and our culture of innovation and evolution, we decided we wanted more than just a green roof that provided insulation benefits; we wanted something that was more functional. Illustration of Method Products’ ML Award-winning South Side Soapbox plant in Chicago’s Pullman district. We had two main ideas: a community garden, and an industrial greenhouse rooftop operation. It became very clear, very quickly, that with a little bit of work and a good like-minded partner, the industrial rooftop greenhouse was by far the highest impact way to do it. We talked to a number of different companies and met Gotham Greens, a very like-minded company, with a similar mission, and with local hiring practices and a strong give-back program for the community built into their business model. We engaged them midway through the building of the factory so that their requirements could be integrated into the design and engineering of the ultimate structure. Q: What’s been the outcome so far? A: The plant’s 75,000 square feet greenhouse on the roof is currently the world’s largest industrial rooftop farm. It uses renewable energy and advanced hydroponic growing techniques to produce more than 10 million lbs of crops a year, which are then sold to local restaurants and retailers, and a portion is given back to the local community through churches, school groups, and other donations. This area of Chicago was formally designated a federal food desert, which meant you’d have to drive 10 miles or more to have access to fresh food. That’s another reason the idea of a rooftop greenhouse resonated with us. Q: How has Method’s ‘Mindful Manufacturing’ approach helped to benefit the business? A: At an operational level we’ve taken a lot of non-value-added aspects out of the business, so there’s definitely an economic benefit from that. Another benefit that has been greater than we expected is in terms of quality. Now we can effectively touch and look at every bottle that flows through our facility. The South Side Soapbox site has really delivered on that quality promise. We are a premium brand so premium quality is an important consumer and customer expectation. It also provides enormous flexibility. We are not in the business of manufacturing. We are in the business of consumer products. If my business partners come to me and say, “Hey, we have an amazing idea to drive growth in the company,” and I come back to them and say, “You know what? Sorry. Our manufacturing facility has been designed in such a way that we can’t accommodate that.” I would say that’s a failure on the part of a manufacturing organization. Having to redesign products for the manufacturing facility versus the consumer is, to me, a failure on the part of manufacturing. At a broader industry level, I think business can be a force for good and that’s good for the business. Consumers are becoming much more concerned about where products come from, the impact on the environment, how workers are treated, and how manufacturing companies and big brands operate in the communities that they manufacture in. This is a theme that we’re going to continue to see. It’s a theme that any manufacturing company, no matter who they are, needs to be very conscious of. Q: What do you think is preventing other manufacturing companies from adopting similar kinds of sustainable approaches? A: There are a lot of barriers to overcome in this industry. If I have hundreds of millions of dollars in established assets that I have built over the last hundred years, and suddenly I need to start thinking about it through a different lens, that’s both expensive and difficult. It requires a change of management attitude. In many cases this approach doesn’t have a clear short-term ROI the way buying a piece of capital or investing in a new system does. It’s a longer-term investment with a different, but very attractive, kind of payback structure. Thirdly, there’s no burning platform that’s driving significant change right now. The day we have a carbon tax or a water tax and suddenly our supply chain operation has hundreds of thousands, if not millions of miles of non-value-added transportation carbon in it that doubles or triples the cost, then everyone is going to get really religious, really fast, about sustainability. Today, if you’re not in a mission-driven company that has this idea in the core of its DNA, that burning platform doesn’t necessarily exist. Q: What major challenges still keep you awake at night? A: There many challenges. One that many manufacturing companies will relate to is the tension between efficiency and flexibility. Efficiency in manufacturing and supply chain operations, and the flexibility to be able to not just support the business, but to drive the business. The business should always be the tie-breaker; should always be the priority. That’s a balance we wake up to every day. There’s also a real challenge around talent today, bringing new talent into manufacturing and retaining the talent we have. As we talk about automation and technology driving the way our industry is evolving, can we get the people and the skillsets to continue to take manufacturing to the next level and keep it competitive? And how do we evolve new ways of attracting the best and brightest into our manufacturing supply chain, the same way that ride sharing or the hotel industry using things like Airbnb, have evolved? That’s exactly the same kind of thinking that we now need in manufacturing and supply chain or we’ll become obsolete. The war for talent is going to become one of the biggest issues our industry will face. Q: What other challenges and opportunities do you see for the future of manufacturing over the next few years? A: I think carbon and water are going to become increasingly scarce commodities in the years ahead. There will be some kind of taxation around them. So technologies that allow you to really dial in efficiency from a carbon and water usage perspective are going to become a really big deal. I also think operating systems, new technologies, and advanced MRP systems that allow extreme flexibility and responsiveness, compared to the inflexibility you see in a lot of today’s systems, are going to become increasingly important. I definitely see the potential of big data analytics making a big difference to improving the operation of manufacturing, supply chains, and other parts of the business. Q: What new leadership skills are needed to succeed in that changing future? A: Getting manufacturing leaders to focus more on how to drive the business, rather than just how to drive a manufacturing facility, is going to be a much more important leadership skill. As part of that, the need to be more technology centric will be a critically important skill compared to the traditional profile of leaders as great chemical, industrial, or civil engineers. The leadership ability to appreciate data and its value is going to be essential. I also think the ability for leaders to be able to collaborate beyond the four walls of their facility and work together with suppliers, with others in the supply chain, to get systems talking to each other to drive greater value is going to be vitally important, as both a skillset and a state of mind. Q: Finally, if you had to choose a watchword or catchphrase for the future of manufacturing, what would it be? A: If I had to boil it down to one word, I’d say it is agility. It’s not just about being agile on a day-to-day basis and being responsive to consumers. It’s also the way you design your factories and your processes and your systems to be able to adapt and to adapt easily. I think agility is going to be a constant journey for manufacturing as new trends continue to emerge and develop. THE ESTEEMED MANAGEMENT CONSULTANT PETER DRUCKER ONCE said: “The enterprise that does not innovate ages and declines. In a period of rapid change such as the present, the decline will be fast.” Drucker said this many years ago but its import is even more relevant today. As the manufacturing industry transitions into the digital era, the importance of being able to innovate in a time of great change can’t be overstated. Innovation in the digital world, though, is a complex, multi-factor equation. Manufacturers have to adopt and understand the application of new technologies such as sensor networks, analytics, and 3D printing. They have to devise cross-functional organizational structures to take advantage of end-to-end process digitization. Executives need to inspire and lead information-empowered, next-generation workforces. And throughout it all a company’s culture must be attuned to embracing the unknown. Such orchestration isn’t easy, but the potential rewards are huge. As Executive Editor Paul Tate writes in a report on the ML Council’s new survey on innovation, entitled “Innovation Shift: Harnessing the Power of M4.0”, new technologies are inspiring manufacturers to shift the focus of their innovation activities beyond their factory walls, opening up the possibility to create game-changing advancements. But the key, the survey underscores, is having the right leadership and culture. The process, too, is crucial. As Council member Lisa Campbell from Autodesk writes in “Digital Darwinism: Innovate or Die”, a systematic approach to innovation, based on a proven methodology, can enable companies to achieve real breakthroughs, not just incremental improvements. 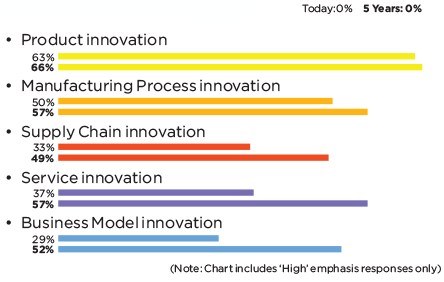 Campbell presents an innovation framework called the Innovation Genome that can help manufacturers establish such a methodology. Also in this issue are two articles about the 13th annual Manufacturing Leadership Summit, which was held in June. The first article is a report on this year’s ML award winners. The second article is a photo essay about the Summit conference and ML Council Day. 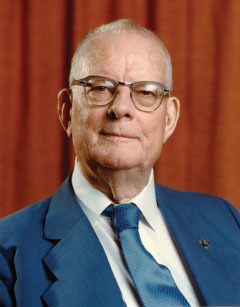 IN THE LATE 1970s, DR. W. EDWARDS DEMING, A U.S. STATISTICIAN and management consultant, was asked to visit Japan and work with the Toyota Motor Company. At the time, the quality of products made by the Big Three U.S. automotive companies was at a low ebb. The Big Three were losing market share fast. Ford Motor Company was seriously flirting with bankruptcy. Even Toyota was struggling. Deming got to work and created what became known as his 14 principles, a statistical approach to manufacturing that was implemented by Toyota and, later, other compa-nies. Its success sparked a near-turnaround at Toyota and envy in the U.S. On June 24, 1980, for example, NBC broadcast a documentary called “If Japan Can, Why Can’t We?” Afterwards, Deming’s phone rang relentlessly. The 14 principles are based on a philosophy of constancy of purpose. At its core, the philosophy calls for ceasing dependency on mass inspection, improving every process, developing an institute for training, driving out fear, breaking down barriers, encouraging education, and ensuring top management commitment and action. Deming’s “System of Profound Knowledge” consists of four parts: Know about a system, some knowledge about variation, some theory of knowledge, some psychology. But the Deming system was really all about leadership. And its widespread embrace by manufacturing companies enabled Deming to make one of the biggest impacts in the history of manufacturing. Deming worked with both Ford and GM in Detroit, and, starting with their CEOs, pushed his concepts throughout these companies, from engineering to suppliers, resulting in huge manufacturing improvements. But Deming’s impact went far beyond just GM and Ford. His work challenged the leadership of many manufacturing companies and sparked a race for better quality that affected thousands of companies and their employees. And Deming wasn’t alone. In parallel to his work, Dr. Joseph M. Juran was developing a total system approach to manufacturing. His career had been marked by a search for the underlying principles which are common to all managerial activity. In 1974, Juran launched his “Quality Handbook”, which addressed a range of quality-related activities, including supplier quality, shipping product to the customer, and customer satisfaction. His focus was on basic quality control — quality costs, statistical-tools similar to Deming’s, designing for quality, quality improvement, manufacturing planning, process control concepts, and inspection and testing, to name some of his approaches. The influence of both Deming’s and Juran’s concepts challenged the lead-ership of manufacturing plants by placing a heavy emphasis on the combination of a statistical and total systems approach to running factories and plants. Both Deming and Juran started with top leadership, which was the key to fostering change. Leadership had to first understand the approaches and then lead the way. Today, after all these years, it is very interesting to see where we have come in manufacturing and leadership. First, there are outstanding companies that have implemented world-class manufacturing and leadership. Second, there are still companies that have spent millions of dollars implementing lean principals but their leadership teams, unfortunately, are not aligned in their managerial thinking. The bottom line is: how can current leadership hand the reins over to the next generation without an operating system approach to managing production? Many companies are currently being managed by individual leadership thinking and will fail as a result in the future. Top companies with a system’s approach are developing standardized work for their leaderships and are also providing coaching for their current and future leaders. Over the last 47 years of my career in manufacturing, I have had the opportunity to work with hundreds of manufacturing companies globally. I have realized that the gap between world-class companies and companies that fall short is the result of not having a defined systems approach to leadership. Developing an operating system approach for long-term implementation is the key for the next-generation leadership team. The process I am going to advocate started by working with Deming in the 1980s, and Juran and Toyota in the 1990s, and having the opportunity to develop an operating system based on leadership principles. It is also based on my work as an alumnus of the Center for Creative Leadership in North Carolina and California and implementing operating system principles in the U.S., Germany, Canada, Brazil, and Japan. The system, called the Five Phase Operating Systems Approach, will get top management engaged from day one right down to the shop floor, saving hundreds of thousands of dollars. All executives need to be aligned on how they want to run the company. But the question is: if companies are not aligned and driven by an operating system, how does next-generation leadership manage manufacturing facilities? My biggest fear for the industry is around the current generation of senior executives that are now leaving the workforce. Who and how will we coach the next generation of leadership? The answer is the five-phase model, which was developed for companies that want to improve their current systems approach and/or for companies that want to implement a leadership systems approach for the sustainment of future leadership. Deming’s work challenged the leadership of many companies and sparked a race for better quality that influenced thousands of companies. 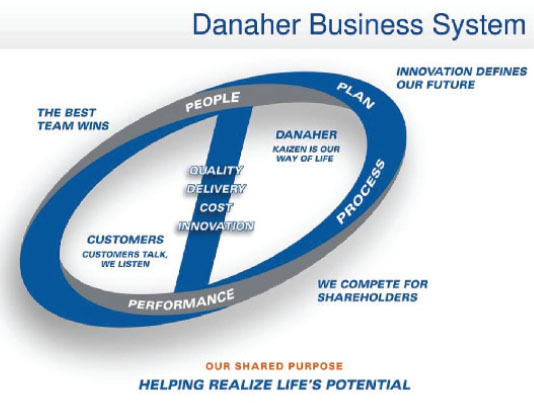 Danaher’s manufacturing framework emphasizes continuous innovation and improvement. This six-hour workshop starts with an operating system approach to measuring alignment within your leadership team. The start of this workshop is very important because it measures each leader’s alignment. Top executives think it’s a training session, but it’s a learning session and an assessment of themselves and their organization. It proceeds by sending each executive to a flip chart and asking each to draw their company’s operating system. Each executive draws something on the flip chart that is different if the company does not have a very solid operating system. It becomes very clear to each executive very quickly where they are at. Next, using a 20-foot grease board for four and a half hours we begin to draw an entire operating system, demonstrating each principle with solid examples. If we talk about supplier quality, we show examples of best-in-class companies with supplier quality systems and policies. If we talk about balanced scorecards, we show examples, standardized work examples, and every part of the system. At the end of the phase-one workshop, we do three things that are very special. We take the executives through detailed examples of top companies with solid operating systems. The next task is to have the executives go back to the flip charts and determine where their companies stand compared to a full leadership operating system, and very quickly they know. We ask them to assess and score OS principals for safety, quality, delivery, cost, people, environmental, and maintenance for one of their manufacturing locations in the workshop on a scale of 0-5, with five being best in class. Next, executives visit a manufacturing plant in their division or company. A learning line — a line used to focus on continuous improvement — is chosen within the manufacturing location. The executives spend three hours on this one line and complete an operating system assessment with what they learned during the Phase 1 workshop two weeks before. Standardized templates are used to address questions on safety, quality, delivery, cost, people, environmental, and maintenance (SQDCPEM). The plant staff is on the plant floor and the executives ask detailed questions about their system. 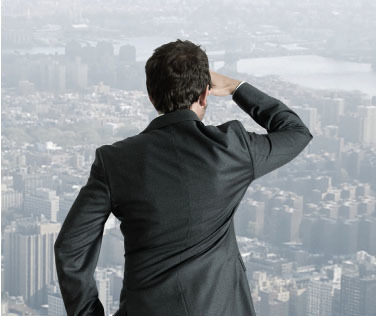 Many manufacturing companies are currently being managed by individual leadership thinking. They will fail as a result. As part of this learning, we start the process in the conference room with engineering drawings pertaining to the learning line. Executives ask about customer requirements as well as engineering characteristics, and they highlight the engineering drawings in a yellow pen for the learning line. When they are on the learning line, they ask the team leader or supervisor to tell them what they are doing with the measurements. The learning is profound: the plant staff as well as the top executives are fully engaged in the system questions. In this phase, a nine-hour workshop is held at the plant location and involves both plant and corporate staffs. This workshop is similar to the one in phase one but is more detailed for the plant staffs. This workshop also begins with both corporate and plant staffs drawing their operating systems on flip charts. You can imagine the results. They are the same as phase one with the executives. During the next three days, they experience the grease board exercise that the top executives had gone through but in more detail, with examples of each operating system principle as well as benchmark examples. At the end of the three days, we take the group through materials showing examples of operating systems that have been implemented company-wide by the benchmark companies. Also, as in the phase one workshop with top leadership, the corporate and manufacturing plant staffs assess the learning line with a standardized template to SQDCPEM based on a scale of 0-5, with five being best in class. The next phase is that within the next two weeks, we take the plant and corporate staffs on a four-hour benchmark visit to best-in-class companies. The purpose of this visit is to see the completed implementation in place and the leadership behaviors and culture. We have the plant manager talk to the benchmark plant manager and the maintenance manager meet with the benchmark maintenance manager, to cite just two examples. The learning is huge. This step involves a five-day Kaizen shop floor workshop on the learning line. The key to the whole process is that top executives, corporate staff, and plant staff are all involved on the learning line at the manufacturing floor, improving the entire process with outstanding process improvements and dollar savings. Phase 5 is very critical – it’s all about improving the business. On the learning line side of this process, understanding the current state is key. 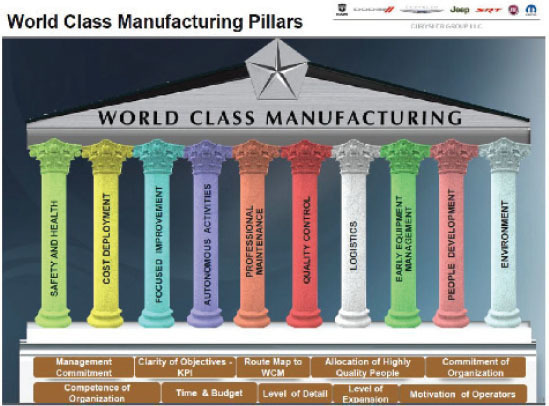 Chrysler’s world class manufacturing approach has 10 pillars, ranging from safety and health to the environment. At Chrysler, the company’s top 40 executives participated on the shop floor, improving every part of the business as part of a one-week Kaizen blitz. Chrysler president Bob Lutz was on the shop floor for five days, improving the brake process on the production line. He came up with a prototype for line workers to get parts to vehicles with less walking. Over the years in implementing the five-phase approach, we have benchmarked top companies such as Danaher, Denso, Ford, Honda, Chrysler and Mercedes. At Ford, for example, John Fleming, the recently retired executive vice president of global manufacturing and labor affairs, taught the production principles of the program. 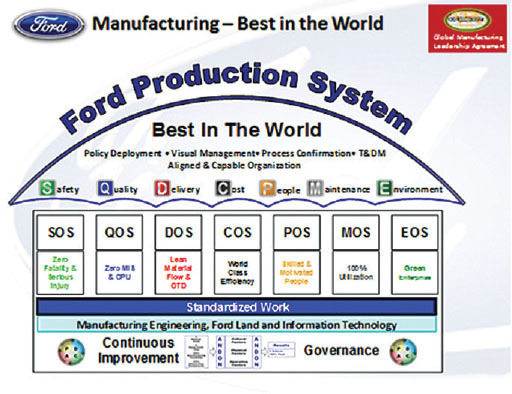 Ford’s Production System consists of seven areas of standardized work. Ford is a learning organization. All operations reviews on the shop floor are based on their production system and balanced score card (red, yellow, green) SQDCPEM Learning Boards. Top management conducts shop floor assessments, and each corporate and shop floor subject matter expert assesses operations. Each principal has a five-year strategy on shop floor SQDCPEM. Ongoing system assessments and team leaders run the shop floor, problem solving, team boards, and startup meetings. Supervisors coach team leaders. The evidence of the importance and impact of having alignment around a standard operating system is clear. Fiat Chrysler provides another example of what can be accomplished. Since a world class manufacturing program was implemented at Fiat Chyrsler in North America in 2009, more than 2.4 million improvement suggestions have been submitted and approved. The company’s target was to save about $400 million in North America in 2015. The company conducted 56,307 Total Kaizen workshops, which produced an annual savings of $305 million, and a FTC (First Time Capability) 13.2 % improvement, compared with 2009. The bottom line for any manufacturing company is that if your company implements an operating system as outlined, the odds are that next-generation leadership will be prepared to succeed. Without one, the likelihood is that future leaders will fail. “It is not enough for leaders to understand the concept of their production system, they must understand to the point that they can teach and coach,” says Fleming. “The ‘why’, the ‘what’, and the ‘how’ is key so that teams understand just how important the production system is. This is the only way in our extremely competitive world to have sustainable success and develop a culture of continuous improvement. The gap between world-class companies and companies that fall short is the result of not having a defined systems approach to leadership. COMING UP WITH ORIGINAL IDEAS HAS NEVER BEEN EASY. You can design all the right processes, provide the most advanced tools, and encourage people with all the rewards you can think of, but generating truly disruptive, game-changing ideas can still remain an elusive goal. Today, digitization is providing new opportunities for manufacturing companies to create game-changing innovations – from transforming products and services, to rethinking the structure of organizations, to changing the nature of work itself. On a broader scale, transformational digital technologies are also starting to break down the traditional boundaries between sectors, industries, and scientific disciplines. As a result, they are helping to redefine the role that manufacturing plays in delivering life-enhancing new ideas to multiple global markets, and in supporting a cleaner, healthier, and more sustainable world for people to live in. But as the Council’s latest Innovation survey in this issue reveals, digital technologies alone are not enough. A strong innovation culture and visionary leadership are the most important enablers of successful innovation. Clearly, in today’s era of fast-changing digital displacement, original ideas are more valuable than ever. Promoting a corporate culture that stimulates such creative thought is also becoming as much a leadership art as it is a corporate organizational science. Allowing the space and time for truly disruptive original thought — supported, refined, and delivered by new digital technologies — requires an enlightened culture of free ideas and encouragement for the people with the right knowledge, the improvisational talent, and the intellectual fortitude to make them happen. That’s the real challenge for today’s manufacturing leaders. Do they have the freshness of vision, the enlightened attitude, and the professional courage to foster a truly open and fertile cultural environment for employees, partners, customers, and individuals to develop disruptive ideas? And are those leaders then willing to actively embrace those ideas and tenaciously drive their transition into market-changing products, services, and disruptive business models? Ultimately, the true point of inflection lies at the intersection between digitally-inspired opportunities, the power of original thought, and mastering the leadership art of delivering creative disruption. Manufacturing 4.0 technologies are inspiring manufacturers to shift the focus of innovation activities beyond their factory walls, opening up the opportunity to create game-changing advancements. COMPETITIVE INNOVATION WILL NOT SIMPLY BE A Desirable option for manufacturing enterprises in an M4.0 world. Seeking game-changing and market-leading new ideas, and delivering them faster than ever, will rapidly become a key corporate imperative for companies hoping to survive and thrive in the digital industrial economy of the future. What’s more, as new M4.0 technologies such as advanced analytics continue to help companies identify disruptive new product developments and greater efficiencies and agility on the plant floor, the focus of innovation activities will increasingly shift beyond company walls, and towards the development of new product-related services, supply chain improvements, and innovative business models to create new competitive advantages. These are some of the key findings of the Manufacturing Leadership Council’s latest research survey on Innovation in Manufacturing conducted in June this year. The survey results reveal that the importance and pace of competitive innovation is set to rise dramatically as the industry deepens its adoption of M4.0 technologies and digitization. An overwhelming 90% of survey respondents expect the pursuit of innovative ideas to become increasingly more important, and will need to happen at a faster rate than ever, in the years ahead (Chart 1). And while the development of new products and improving manufacturing processes will still dominate the innovation agenda in five years’ time, the most significant shifts of emphasis will be on more market-facing aspects of the business. For example, when comparing the highest degrees of emphasis for innovation activities both today and in the next five years (Chart 2), survey respondents predict that the focus on supply chain innovation will rise substantially from 33% to 49% by 2022, while the importance of service innovation will increase to 57%. The emphasis on business model innovation will show one of the highest shifts, from 29% up to 52%. Manufacturing 4.0 technologies, and the analytical insights these new systems provide to enhance both products and production processes, will help drive this shift in innovation importance. 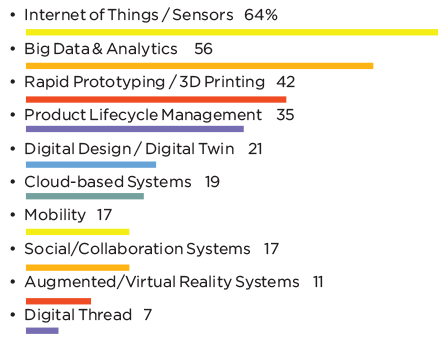 The survey shows that topping the list of the most transformative technology enablers that will help companies improve their innovation performance in the years ahead (Chart 3) are Internet of Things technologies and pervasive sensor networks (64%), advanced data analytics (56%), and 3D printing systems that allow the rapid prototyping of new product ideas (42%). The innovative ideas that will be enabled by these different M4.0 technologies are also expected to result in different benefits for the business (Chart 4). 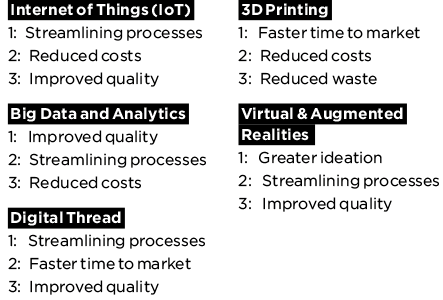 For example, respondents rank the ability to better streamline internal processes as the primary benefit of both the deployment of IoT technologies and Digital Threads, while Big Data and Analytics is predicted to have the most impact on improving quality, and the use of 3D printing will primarily help companies to reduce the time to market for new ideas. Virtual and augmented reality systems, meanwhile, will help generate greater ideation. Q: What degree of emphasis does your company put on the following areas of innovation? Q: Which technology enablers do you think will have the most positive impact on your innovation performance in manufacturing over the next five years? Q: What do you see as the top three most important benefits of using the following M4.0 technologies to help drive innovation? Q: How does your company characterize its innovation efforts? Q: What do you see as the most important enabler that drives a successful innovation strategy for a manufacturing enterprise? Yet despite this predicted rise of importance of innovation in an M4.0 world, only around half of manufacturing companies (47%) currently characterize innovation as a formal strategic goal (Chart 5). A further 34% say they still take an informal approach, although innovation initiatives are coordinated at some level, and 16% say they simply approach innovation in an ad hoc way today. And despite the positive impact of M4.0 technologies are expected to have on developing innovative ideas over the next few years, leadership and workforce attitudes will still have a major role to play in determining the levels of success of any innovation strategy. Respondents ranked the importance of a strong innovation culture among all employees, and visionary leadership, as the top two corporate enablers that drive successful innovation strategies (Chart 6). 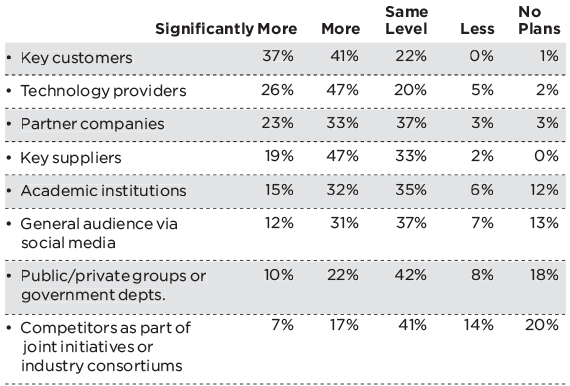 Interestingly, access to new technologies is seen by only 2% as a key enabler. Clearly, M4.0 technologies alone are not enough unless you have the culture and the people to use them effectively and apply them for innovative gain. Many manufacturing companies are also still grappling with the best ways of collaborating successfully with external partners to boost their innovation efforts. Today, over 70% of manufacturing executives who responded to the survey say that their company’s level of involvement in collaborative innovation is still limited to specific areas (44%) or is partly collaborative in an ad hoc fashion (29%). Only 20% consider their organizations to be highly collaborative and already have end-to-end approaches in place across the enterprise (Chart 8). 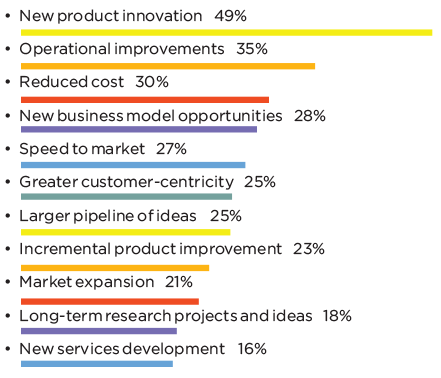 Whatever the overall corporate approach, there remains a clear focus on new product innovation as the key business benefit from these different types of collaborative partnerships (Chart 9), with around half the respondents citing this as their top business goal for collaborative innovation. This is followed by the perennial need to make operational improvements (35%) and reduce costs (30%). 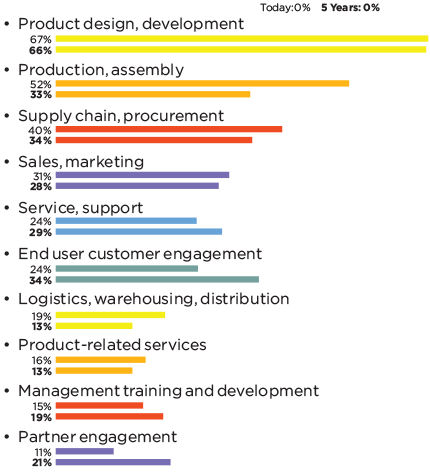 New product development is also seen as the top area of focus for collaborative partnerships in the future, too (chart 10). Interestingly, but perhaps a reflection of more M4.0 technologies already being deployed in manufacturing environments over the next few years, many respondents see the focus of collaborative innovation projects on production and assembly operations gradually reducing over the next five years, from 52% to 33%. Equally notable is the predicted rise in emphasis on collaborative innovation projects aimed at improving end-user customer engagement over the same period. Again, further evidence of the gradual shift of innovative focus towards more external, market-facing activities in the years ahead. Many challenges still remain for manufacturing enterprises to engage in collaborative projects, however (Chart 11). According to more than half the respondents, the biggest challenge of all is finding the right partners (53%). Even when they do, 45% of respondents say they struggle with the complexities of successfully managing partner relationships. More significantly, internal attitudes still hinder progress, with 48% of companies saying that an internal reluctance to adopting externally developed ideas among corporate management is a problem. Q: What primary goal do you hope to accomplish through your innovation efforts? Which statement best describes your company’s current level of involvement in collaborative innovation? Q: What do you see as the top three business benefits from collaborative innovation? Q: What do you see as the top three areas of focus for collaborative innovation today and in five years’ time? Q: What do you regard as your top three challenges about achieving successful collaborative innovation? Despite these obstacles, many companies still plan to embrace more partnerships with external groups over the next one to two years. Most importantly, 78% of respondents expect either significantly more (37%), or more (41%) engagement with key customers in the near future. Again, this is perhaps part of the overall gradual shift of innovation emphasis to more externally-focused, market-facing developments, also supported by expected increases in collaborative partnerships with both technology providers and partner companies as second and third on their partner priority lists. Q: To what degree does your company plan to engage in Collaborative Innovation activities with the following external groups over the next one to two years? In stark contrast, however, is the importance given to further collaborative engagement with joint industry initiatives or consortiums in the near future. These initiatives may have a high profile in government and media circles right now, but only around a quarter of respondents plan to increase their engagement with such organizations, and a fifth of respondents say they have no plans at all to get deeper involved over the next few years. What emerges from these results is that there is clear evidence that the focus on innovation for the future of the manufacturing industry is going to become more intense in an increasing digitized and fast-changing world. Manufacturing 4.0 technologies are expected to open up many more innovative opportunities for companies to change the rules of competition and will play an increasingly important role in delivering those new ideas on the front line. The emphasis of innovation activities is also going to gradually shift from the current dominance of product innovation and internal process improvements, to beyond the corporate walls by helping to streamline supply chains, develop new ideas for market-facing services, and create new disruptive business models that deliver a sharper competitive edge. Innovative new ideas throughout the value-chain, it seems, will be more important then ever to industry success along the journey to Manufacturing 4.0. Ambrell Corporation’s Tony Mazzullo says manufacturing executives must inspire trust and become great communicators if they are to lead their organizations to greater success. I am responsible for global strategy and overseeing the execution of that strategy across our company. Ambrell is a knowledge-based company that offers our customers high-value expertise in induction heating solutions. Induction heating is often a critical process step in the manufacture of assemblies and finished products. We deliver systems for many markets including automotive, machinery, wire & cable, defense aerospace, fasteners, medical, food & beverage, and more. A: Technology is advancing at an ever-increasing pace, and manufacturing organizations must remain at or ahead of technological change. I believe that establishing an environment of continuous learning is one of the most pressing issues that is critical to the long-term success of a manufacturing organization. You must remain relevant to remain competitive. A: I’m currently leading an effort to gain greater intimacy with our customers so that Ambrell can deliver a complete technology and business solution. We are collecting information from our customers regarding their current and future manufacturing plans. We must understand the challenges they face with manufacturing throughput, quality, yields, safety, and costs. We will use this information to consider how we can develop more valuable solutions for our customers. In addition, I am sponsoring a value-engineering effort to improve the design-for-cost and the design-for-manufacturing for our two primary product lines, the EasyHeat and EkoHeat induction heating systems. Our goal is to push our engineering teams to continuously improve our product. A: All leaders must possess and demonstrate integrity. Integrity is to be true to your word, say what you do, do what you say. Integrity breeds trust. Leaders must also be great, two-way communicators. This means that they can communicate verbally and in writing in a clear and concise manner, and they can listen and comprehend the information that is being communicated to them. A: Ambrell is a low-volume, high value product supplier. Many of our opportunities involve creating a solution that optimizes the results for each customer and each customer application. This means that we gain greater success by being flexible and adaptive which, in-turn, requires exceptional talent. Opportunities present themselves when you can effectively combine specific knowledge, a highly-reliable core product, great service, and a fair price. A:Outside of work, I like to spend quality time with my family (wife, 4 daughters, 2 granddaughters) and stay active (run, hike, and play tennis.) My last book was The Winds of War, a classic of historical fiction. Integrity is to be true to your word, say what you do, do what you say. Integrity breeds trust. The Manufacturing Leadership Council’s new Critical Issues agenda for 2017/2018 encourages industrial leaders to grasp the competitive opportunities of new digital technologies, advanced analytics, collaborative structures, enterprise-wide innovation, and more sustainable production strategies to drive future growth along the road to Manufacturing 4.0. DRIVEN BY COMPETITIVE PRESSURES TO BECOME more agile, innovative, and cost effective, and a surge in the use of advanced digital and analytical technologies, manufacturing companies around the world are now pursuing a future vision for their businesses that will transform the rules of competition, how work will be performed, how companies will be organized, and how leadership must lead. We term this future state: Manufacturing 4.0. The Critical Issues agenda establishes the Manufacturing Leadership Council’s strategic plan, directly influencing all major elements of its research, content, events, and services portfolio for the next twelve months. The vision for Manufacturing 4.0 is a state in which production and sup-ply networks are increasingly automated, modular, data-driven, agile, predictive, and rapidly reconfigurable to meet changing demands and competition. Products are smart, customized, connected, self-diagnosing, and provide a rich platform for new service revenue streams. Supply chains are visible, traceable, risk-resilient, responsive, and constantly analyzed in real-time. Enterprises are cross-functional, collaborative, and highly integrated, often around a single digital thread that stretches from design to deployment. And leaders and employees are highly engaged, digitally-savvy, customer-centric, continually innovative, and ready to adapt to new challenges and grasp new business opportunities. The Manufacturing Leadership Council’s Critical Issues Agenda is designed to help manufacturers align their thinking and practices for a successful journey to Manufacturing 4.0. Manufacturing 4.0, from current production models to a future state. Manufacturers must successfully develop and manage rapid, continuous, collaborative, and often disruptive innovation processes across the enterprise to drive growth, new products and services, operational efficiencies, and competitive success in the world of Manufacturing 4.0. Best practice approaches that focus on how, why, and where Manufacturing 4.0 technologies can help change the process of innovation to help manufacturers deliver innovative ideas and improvements faster than ever before across the enterprise — from the plant floor, to the supply chain, to new products and services. The Manufacturing Leadership Council’s annual Critical Issues agenda is the outcome of a unique member-driven process that identifies the most urgent and important issues facing the global manufacturing industry in the year ahead. It is based on extensive consultation with more than 800 senior executives and associate members of the Manufacturing Leadership Council and Board of Governors. ML’s David R. Brousell (l) moderates the Washington Update panel, with (l to r) Women in Manufacturing’s Allison Grealis, S&S Hinge’s Rich Sade, Dow’s David Mongrue, and National Association of Manufacturers’ Todd Boppell. 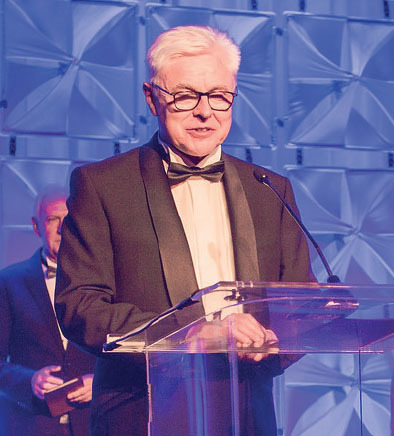 In a record, nearly 300 manufacturing industry executives gathered at the Hyatt Regency in Huntington Beach, CA, in June to attend the 13th annual Manufacturing Leadership Summit & Awards conference, whose theme was “Manufacturing 4.0 in Action”. Over the course of the three-day event — which includes a full-day meeting of the Manufacturing Leadership Council, and Summit conference, and the black-tie ML Awards ceremony — attendees experienced more than 250 individual presentations, panel discussions, Think Tanks, technology briefing sessions, and networking events involving companies and organizations across the spectrum of manufacturing. Speakers and session facilitators hailed from companies such as General Motors, Johnson & Johnson, Cisco Systems, Merck & Co., Lockheed Martin, Siemens, Oak Ridge, National Laboratory, Dow Chemical, Lexmark, Raytheon, Fiat Chrysler, BASF, Under Armour, DDI, IBM, Intel, Zebra, Autodesk, Rockwell Automation, NTT Data, Dassault Systemes, Plex, Allied Telesis, Ricoh, ServiceMax, and the Singapore Economic Development Board. Rubadue’s Sue Welch in the exhibition hall. ML 2017 Award Winners in a panel discussion at the Summit. Merck’s Michele D’Alessandro charts Merck’s digital journey. IBM’s Ron Castro and Proto Labs’ Vicki Holt applaud a Summit session. Ford’s John Fleming confers with fellow Board of Governors member Dr. Detlef Zuhlke of Germany. Lockheed’s Mike Packer (l) and Nexteer’s Dennis Hoeg discuss M4.0 at lunch. Lexmark’s John Gagel at a networking reception. ML’s Paul Tate interviews GM’s Alicia Boler Davis about mobility and manufacturing. Cooley Group’s Dan Dwight prepares to present at Council Day’s Open Forum. Allied Mineral Products’ Phil Wenzell talks with BASF’s John McGee. ArcelorMittal Dofasco’s Melissa Cortijo presents at Council Day’s Open Forum. Dow’s Lloyd Cosgrove in a discussion during lunch. Graphicast’s Val Zanchuk relaxing during a networking break. Dr. Amy Elliot from Oak Ridge National Laboratory describes trends in 3D printing. ML Council members cast a vote on the 2017/18 Critical Issues agenda. Council members ask questions during a VIP walk-through of the technology marketplace. 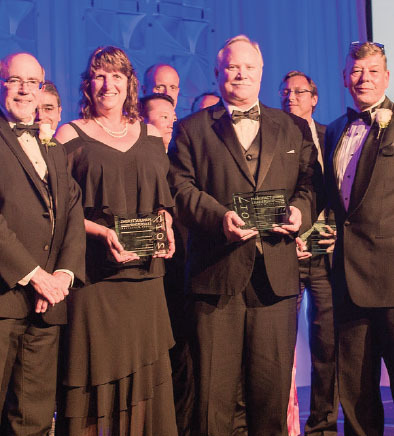 Top winners of the 2017 Manufacturing Leadership Awards gathered on stage at the 13th Annual ML Awards Gala on June 14 in Huntington Beach Resort and Spa in Huntington Beach, CA. As individuals and enterprises in disrupted industries from retail to publishing have learned in the last few years, the road to digital transformation is not straight, it is not easy, and it creates winners and losers. As recent Manufacturing Leadership Council research has shown, manufacturing companies and their leaders also are struggling to meet the challenges inherent in embracing the digital future that we call Manufacturing 4.0. Leaders must understand and adopt emerging technologies, built a workforce equipped for the future, and establish more collaborative leadership cultures. But, as winners of the 13th annual Manufacturing Leadership Awards prove, manufacturers are beginning to complete inspiring projects that, taken together, are defining the promising outlines of the M4.0 era by transforming plant floors, supply chains, and the manufacturing workforce while enabling profound business model innovation. In June, winners of the ML Awards were honored at a gala event at which top winners of the 2017 were revealed. Among the top 2017 ML Awards winners announced in June were two companies honored as Manufacturers of the Year and one individual Manufacturing Leader of the Year. The Manufacturers of the Year—one a large enterprise and one a smaller company with annual revenues under $1 billion—were selected by the Manufacturing Leadership Awards Judging Panel as the most compelling initiatives from among all 91 winners of the 2017 ML Awards. The Manufacturing Leader of the Year was selected by the ML Awards Judges as the most outstanding manufacturing leader from among the six winners of the program’s Visionary Leadership Awards for individuals. 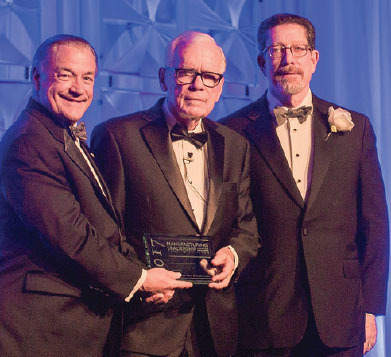 For the fourth time in its history, the ML Awards also announced a winner of its Lifetime Achievement Award, given to a leader whose career-long spirit and achievements have significantly advanced the manufacturing industry. For more than a decade, Dr. Zühlke has promoted the concept of the smart factory within academia and the industry, establishing ties between Industry 4.0 theory and practice. Other top winners announced at the ML Awards Gala included 12 High Achiever Award winners. These special winners were judged the most impressive in each of the 12 ML Awards project categories. And given special recognition were 13 manufacturing technology providers that received ML Partner Awards in recognition of their roles in supporting ML Award-winning manufacturers this year. 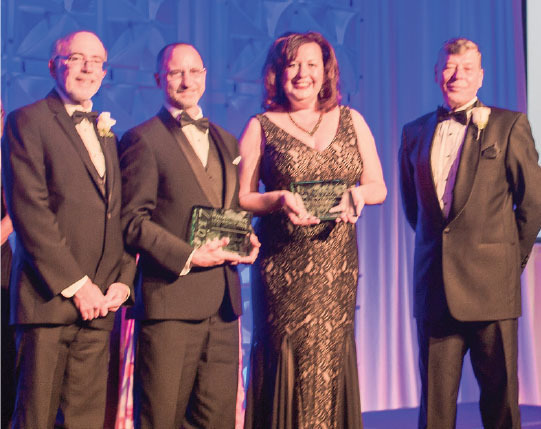 These top Manufacturing Leadership Awards winners are proving, through breakthrough projects and individual achievements, that Manufacturing 4.0 is a real and powerful force that is transforming the face of the industry. CHAIRMAN OF THE EXECUTIVE BOARD, TECHNOLOGIE-INITIATIVE SMARTFACTORY KL E.V. AND CHAIR FOR PRODUCTION AUTOMATION AT THE KAISERSLAUTERN UNIVERSITY OF TECHNOLOGY, IN GERMANY. Zühlke is a founding father of the Industry 4.0 movement, which is transforming manufacturing around the world. In 2005, Dr. Zühlke founded the non-profit SmartFactory initiative, which, in cooperation with the German Research Center for Artificial Intelligence, became known as the birthplace of the Industry 4.0 paradigm of intelligent, modular and digitized production. Under Dr. Zühlke’s leadership, the SmartFactory initiative has forged partnerships with key academic, research, and industrial organizations to create a unique network that develops everything from base technologies to marketable Industry 4.0 products. For more than a decade, Dr. Zühlke has promoted the concept of the smart factory within academia and the industry, establishing ties between Industry 4.0 theory and practice. He has succeeded in creating a neutral platform on which players such as Siemens, Bosch, IBM, and Cisco have been able to cooperate, exchange ideas, and collaborate. Dr. Zühlke has also worked closely with the German Federal Ministry for Economic Affairs and Energy to support small and medium-size manufacturers in their journey to Industry 4.0. Dr Zühlke started an Industry 4.0 wave that is now inspiring highly digitized, modular, and flexible production around the world. Dow’s Talent Development initiative encompassed several programs that showcase the remarkable capabilities of Dow’s employees. Dow, now a two-time winner of the Manufacturer of the Year Award, is being recognized for three outstanding initiatives that, together, represent a transformation tour de force. 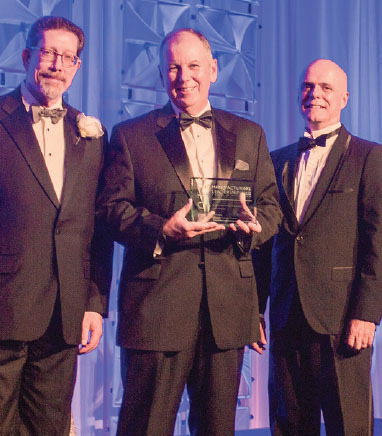 The Dow Chemical Company’s David Mongrue accepts the Manufacturer of the Year, Large Enterprise Award, accompanied by the Manufacturing Leadership Council’s David R. Brousell (left) and Joe Salvo of General Electric, the 2016 winner. The winners of 2017’s top Manufacturing Leadership Awards, like all ML Awards winners, prove every day that transformational innovation is alive and well in manufacturing. 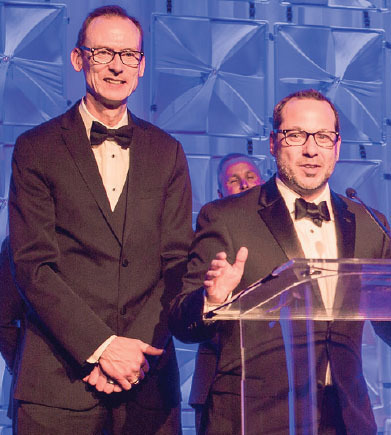 Dow, now a two-time winner of the Manufacturer of the Year Award, was recognized for three outstanding initiatives that, together, represent a transformation tour de force. Part of a $4 billion feedstock investment program on the U.S. Gulf Coast, Dow’s ground-breaking Propylene Dehydrogenation Project required 4,500 construction workers, yet was completed in an impressive three years. Dow now has the largest on-purpose propylene production unit in the U.S. The company’s Dow Operation Excellence System was implemented as a unique continuous improvement system that delivers greater focus on customer and market needs, greater financial performance, and increased collaboration across departments, removing silos and barriers to collaboration. To date, the program has generated more than $200 million in savings across five sites. It is expected to deliver more than $1 billion in cost improvement over the next 10 years. Dow’s Talent Development initiative encompassed several programs that showcase the remarkable capabilities of Dow’s employees. These innovative programs use unconventional methods to uncover latent skills, motivations, and ambitions, and provide clarity of purpose through a guided process of self-discovery. So far, 4,467 employees have been touched by these programs. Pixelligent Technologies was honored for its breakthrough PixClear nanocrystals technology and PixClearProcess manufacturing system. Where other highprofile nano technology startups have stumbled, Pixelligent has become a shining success story. Beginning in 2011, the company invested in PixClear, a nanocrystal material, which can improve the lighting efficiency of organic light-emitting diodes by 100%. This promises to transform the already rapidlyexpanding market for LED lighting and displays and the devices that use them. The PixClear process has proven to be a unique manufacturing system for scaling production to over 50 million tons per year. Over the past five years, the process has produced yields that have improved by 20 times and has had a manufacturing cost reduction of over 90%. Not surprisingly, multinational lighting, display, and materials companies are now knocking on Pixelligent’s door. Where other high-profile nano technology startups have stumbled, Pixelligent has become a shining success story. Throughout his long and distinguished career, Leo Reddy has been an inspiring and continuous source of leadership,founding and growing institutions that continue to benefit the manufacturing industry while also serving his country with distinction. Throughout his long and distinguished career, Leo Reddy has been an inspiring and continuous source of leadership, founding and growing institutions that continue to benefit the manufacturing industry while also serving his country with distinction. The first phase of Reddy’s distinguished career was in the Cold War. He began with service as a naval officer on destroyers in the Sixth Fleet and Hawaii. Following a stint as an analyst in the CIA, he had an awardwinning, 28-year career in the U.S. Foreign Service, where he rose to the rank of Career Minister as a specialist in NATO and arms control. He is a recipient of the White House Presidential Award for Outstanding Service, among other honorsrs. He left the Foreign Service at the end of the Cold War, returning to industry to lead the National Coalition for Advanced Manufacturing. As head of NACFAM, Leo became a strong advocate for a series of federal programs that continue to strengthen America’s industrial base. Most recently, Leo has been a powerful force in addressing one of manufacturing’s top challenges: the need to develop a next-generation production workforce able to keep pace with technological change. As chair and CEO of the Manufacturing Skill Standards Council since 2005, Leo has guided the establishment of two standards-based national industry certifications that have helped to prepare over 55,000 individuals for advanced manufacturing careers. High Achievers are ML Award Winners that have received the highest scores in the 12 project categories. VirTex’s Project Tandem created a system from scratch that gave it unprecedented visibility to labor requirements and product flow. This allowed the company to dynamically shift labor resources and take advantage of opportunities to grow the business. IBM’s Resolution Rooms project created a unique, cognitive collaboration platform that has changed the way people work by allowing them to collaborate synchronously and asynchronously across countries and time zones. With its ability to pull knowledge even from unstructured files and messages, the platform is part of an initiative that has generated $24 million in hard benefits. 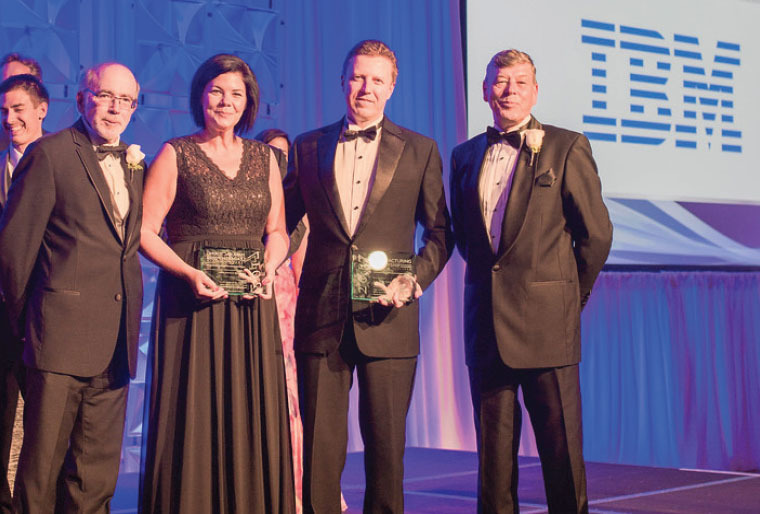 IBM’s Ron Castro (second from right) and Kata Welchner accept the Manufacturing Leadership High Achiever Award in the Supply Chain Leadership category from the Manufacturing Leadership Council’s Jeff Moad (left) and Paul Tate. IBM undertook an ambitious, multi-faceted transformation project that addressed everything from inventory management to used parts refurbishment. Peterbilt’s Dynamic Trust Test Project led to a unique, dynamic road test protocol that can discover potential problems that were previously undetectable using standard static testing in the plant. Results included improved quality, rapid introduction of new features, and higher customer satisfaction. Lockheed Martin’s Mold-In-Place Inlet Coatings Project, a fusion of collaborative robotics, advanced metrology, and conformable composite tooling, created a system that can mold coatings directly to an aircraft’s contoured surface. This resulted in fewer production bottlenecks and labor cost savings of $27 million. Ball’s Design through Delivery Scheduling System Project produced a new system that serves as the source of truth system for shop schedules, delivery dates, part status files, and other data. The initiative provided near real-time visibility of program execution activities and supercharged program execution performance. Lexmark’s Predictive Service Project built predictive algorithms and models to take advantage of information collected from deep sensor data, alerts, and error messages that are produced by its printers in the field. Combined with an analytics engine, this allows Lexmark to automatically initiate service requests and reduce support costs. CommScope deployed PickandPack Mobile, an iOS mobile app that converted an ad-hoc logistics receiving and distribution processes into a systematized operation where all elements of the processes work together. As part of a multi-year digitization initiative, PickandPack saved $3 million in phase one of the project. 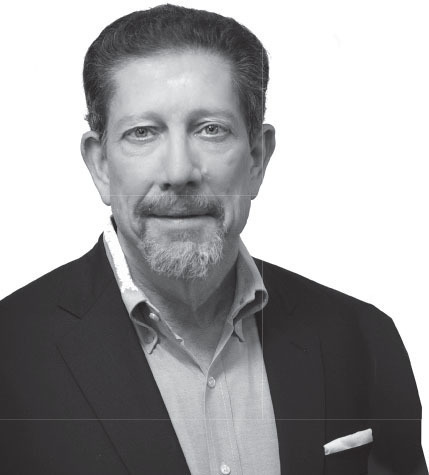 Keysight launched a three-part lean transformation after spinning out from its parent company. It’s Lean Transformation Project resulted in an $18-million inventory reduction, 30% lead time reduction, and a 22% productivity improvement. ARCA built intelligence and connectivity into its cash handling machines operating in the field. It’s ARCA Care initiative means It is now able to do preventative maintenance before machines break, therefore saving money and improving customer service. The NEW Manufacturing Alliance has made a dramatic impact by increasing enrollment in manufacturing-related degree programs at technical colleges by over 200 percent. John M. Gercak,Vice President IT, Manufacturing Center of Excellence, Eaton Corp.
Ronald Castro, Vice President, Operations and Supply Chain Execution, IBM Corp.
Val Zanchuk, President, Graphicast Inc.
Ann Franz of the NEW Manufacturing Alliance and Bill Bartnik of Sargento Foods and the New Manufacturing Alliance (second from left) accept the Manufacturing Leadership High Achiever Award in the Talent Management Leadership category from the Manufacturing Leadership Council’s Jeff Moad (left) and Paul Tate. Facing intense cost pressures and increasing product complexity, IBM undertook an ambitious, multi-faceted transformation project that addressed everything from inventory management to used parts refurbishment. The company’s 5 Pillars of Supply Chain Operational Excellence Project resulted in tens of millions of dollars in inventory cost savings over the past three years. People Against Dirty, through its South Side Soapbox Initiative, built a LEED platinum-certified plant in Chicago designed to be powered by the wind and sun. The plant doesn’t draw water from the Great Lakes, and will be 100% landfill-free. The plant includes a 75,000-square-foot rooftop greenhouse where food is produced for its urban neighborhood. The NEW Manufacturing Alliance came together in 2006 to focus on the development of talent in its region and to improve the image of manufacturing careers. It has made a dramatic impact by increasing enrollment in manufacturing-related degree programs at technical colleges by over 200 percent. ML Awards Partners provided leading technology solutions and expertise to select 2017 Manufacturing Leadership Awards winners. Keysight’s Lean Transformation Projectresulted in an $18-million inventory reduction, 30% lead time reduction, and a 22% productivity improvement.